If you haven’t attended to pruning your shrubs and hedges because it’s been too hot and dry, now’s the time before the weather really cools down. Leave Camellias alone, because they’ll be budding up for flowering over the next few months, depending on where you live. In warm and temperate areas, Camellia sasanquas are probably flowering right now. Unless you live in the tropics, or have a greenhouse, pull out those tomato seedlings that are popping up everywhere, they’ll amount to nothing and just cover your plants. Wrong time of year for those guys. Small birds are on the decline in some parts of Australia, but there are ways to help them survive. Apart from their cuteness, they make up the diverse range of fauna that Australia has to offer but are generally defenceless to a range of predators. 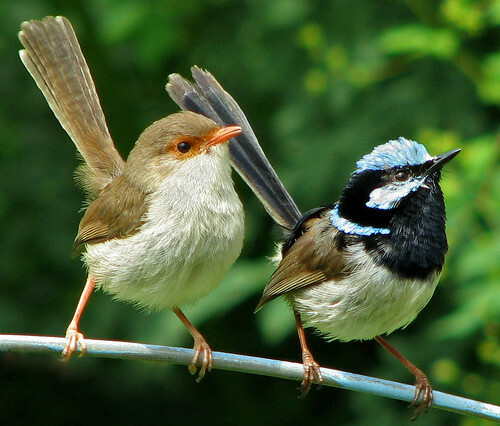 As Sue mentioned, Fairy wrens live and forage in family groups in understorey bushes. They even move around in understorey bushes.To help these small birds, think about increasing the amount of understorey planting you have in your garden, or perhaps volunteer for some bushcare project that involves planting habitat for small birds.We’d love to see photos of any sightings you have of the Variegated Fairy Wren or any birds you’ve got visiting your garden, just send them in to. 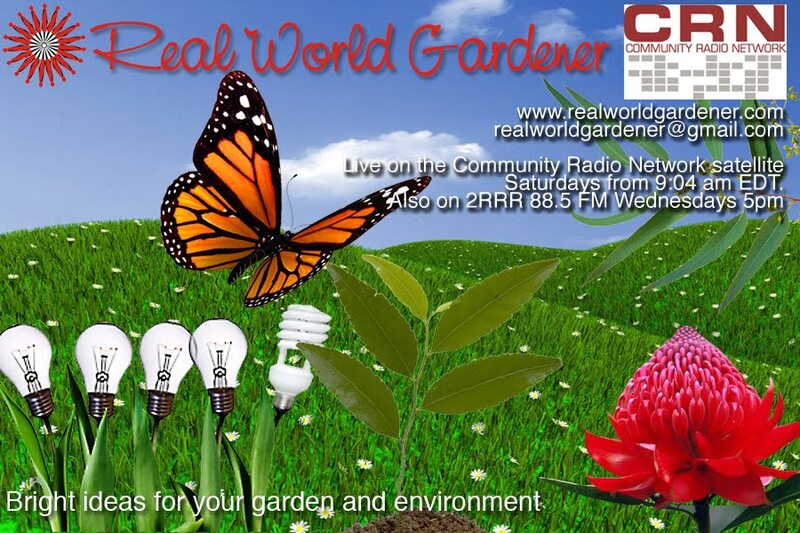 realworldgardener@gmail.com or write in to 2RRR P.O. Box 644 Gladesville NSW 1675, or post them on Real World Gardeners facebook page, and I’ll post a CD in return. Although no near ancestor has been found in the wild, remains of the broad or faba bean have been found in Neolithic sites in Israel dating back to 6800-6500 BC. Broad beans are in the bean or Fabaceae family, but they look different and grow differently to their beany cousins. Broad beans grown into a large, upright, bushy plant up to about 1 ½-2 metres. 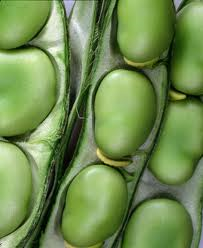 Each Broad Bean pod contains 4-8 light green to white, rounded and kidney-shaped beans. You veggie bed's soil should fertile, but not too much of the chook poo or other rich manure as you'll only get leaf growth rather than flower (and bean) production and will make the plant more sensitive to frost and disease. Direct planting into roughly prepared soil is the best way to grow BB. Sow the seeds about 5-10cm deep, with 15-20cm between plants you need 2 ruler lengths between rows. That's if you've got the room, but there's a reason for this..
Soaking seeds overnight in diluted liquid seaweed can speed this up….germination. MOST IMPORTANT until after germination, to prevent the seeds from rotting. Ok, YOU CAN'T DO MUCH ABOUT IT IF IT RAINS. If your district experiences a bit of frost, flowers formed during frosty weather are probably not going to set pods. Once spring arrives, pinch out the tips of the plants to encourage pod set. Try to limit water stress as this will also affect pod set. That means don't let them dry out! Broad bean pods can be picked at several stages. Firstly, they can be picked when small and can be snapped crisply in half. In which case you can eat them like young green beans. Secondly, if allowed to grow larger but the seeds are still soft, you don’t have to shell them. The bean seeds, but don’t eat the pods at this stage. Finally, they can be grown until fully mature and the seeds have dried. In this last case the seeds are used as dried beans and are called Lima Beans. Towards the end of the crop, rust - producing powdery spots on the leaves - can become a problem. Plants with black tips may suffer from root rot, caused by poor drainage. Remove affected plants and re-sow. Beans are high in protein and carbohydrates, rich in vitamin C and are also a good source of vitamins A, B and folate. Beans also provide potassium and iron in facto 100g of beans has as much iron as a pork chop. Broad beans are a good source of fibre. Bon Appetit! with landscape designer, Louise McDaid. This month, Design elements is still fixing your garden design problems that are based on how much or how little light or sun your garden’s getting.Not all gardens have constant shade and sun, and sometimes when it’s only sunny or shady for some of the year, finding a plant that suits that location is a bit too tricky. It’s an all too common problem for the modern gardener.But all is not lost. 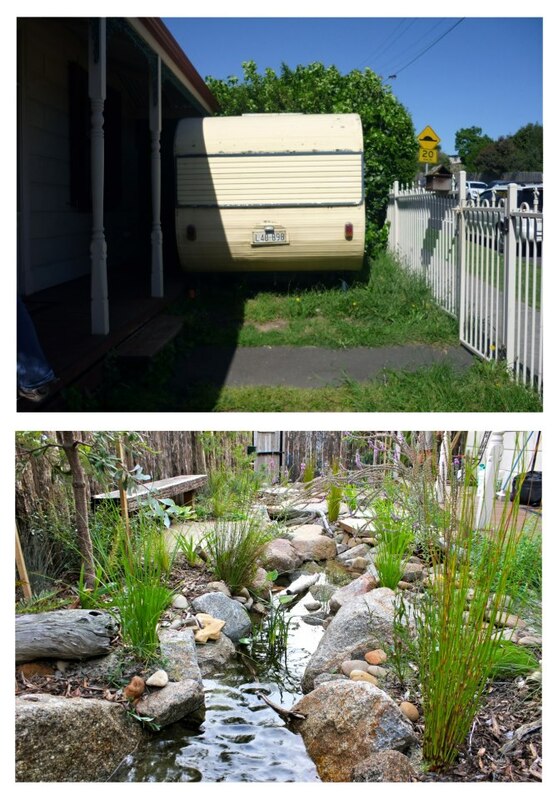 Let’s find out what can help if you have an awkward spot in your garden? Sunny in summer, shady in winter? There were lots of suggestions for which plants to choose no matter what your style of garden. From annuals that require replanting every year, perhaps try last week’s plant of the week, Sunsatia Nemesia that come in all those mouth-watering colours. Perhaps choose some shrubs that can cope with the two extremes, or a deciduous tree. 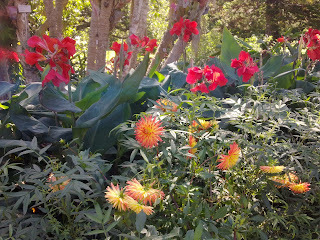 A while back, Design elements talked about Tropical gardens for cool climates. Might sound a bit strange, but it’s actually it’s not only possible, but desirable, especially if you have hot summers. One of the plants suggested can cope with extremes of temperatures, and if you can offer protection from frost, you get almost all year round benefit from the flowers as well as the foliage colour. Cannas aren’t a lily but are related to heliconias, babanas and gingers. Cannas belong in the family Cannaceae. Cannas grow from an underground root or rhizome that continues to multiply depending on the variety of Canna that you have. The flowers grow up through tightly furled leaf bases or 'false stems'. The flowers remind me a blowsy iris flowers, but in much brighter, hotter colours generally. Modern canna hybrids come in four different sizes: pixie (45cm-60cm), dwarf (60cm-100cm), medium (1m-1.5m) and tall (1.5m-2m). They come in all colours except blue and black. The leaves also come in a range of colours from green, blue-green, purple, burgundy, bronze or striped. Growing cannas are a must in the flower gardens as they flower for eight to nine months of the year in most climate zones in Australia. 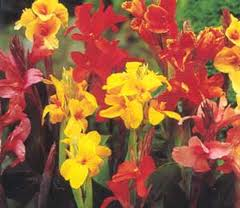 When planting Cannas, to get the most out of flowering you need to think of them as sun and heat loving plants, even though they can grown in a range of cliamtes from hot tropical climates, to cool temperate areas as well. Cannas need 5-6 hours of sun to flower well. If you have plants with variegated or bronze foliage they colour up better in a semi-shaded position although you''ll get less flowers. Then again, I have a friend who grows them for the colour of the leaves and trims of the orange flowers because she doesn’t like that colour. Cannas are very dry tolerant once the rhizome has established, but don't forget to water them during extended periods of dry and hot days. I have some purple leaved Cannas that survive mainly on natural rainfall, but I always give them a water on days over 30 degrees. Cannas in Winter in cool temperate districts will get frost damage. Frost damage on Cannas in winter will leave their leaves looking burnt; even a very light frost will leave behind a brownish mark on their foliage. But don’t be alarmed and cut off those frost damaged leaves. New eye growth is constantly being produced on the underground rhizome during winter and this shoots away in early spring as the above ground temperature warm up, because Cannas need warmth for above ground foliage to grow. If burnt frost damaged leaves bother you, you can dig up the whole clump, and store in an open box in the garage. Don’t break up the clump, just remove the excess soil before storing for the winter. When the last frost has passed, break the clump up and replant. They’ll shoot away in a matter of weeks. Big clumps of cannas are tough water wise plants, but it’s wise with single small sized divisions to be careful when watering cannas not to overwater any small plants or they may rot. 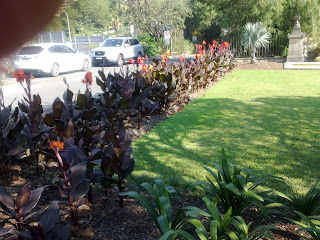 On a recent holiday along the coast of the Great Ocean Road a friend of mine was I surprised to see many home gardens with cannas in their planting schemes. The gardens had beach road frontage and the cannas were thriving and really stood out amongst other hardy garden flowers perennials including Agapanthus and Kniphofias. Pruning old flowers isn’t necessary. If you want to give them a bit of a tidy up cut away the old head below the last flower but not far down as the new head that are coming through. End of winter is best to prune all Cannas, particularly if they’ve been affected by frost. Cut them down to about 30cm. New growth will come from below as the weather warms up. Some gardeners lift and divide their Cannas every 3 years, but this depends on how vigorous the variety of Canna that you’ve got. If your neighbour’s have prying eyes, then plant some tall growing canna plants along your fence line's for privacy, you can also use them to provide shade and protection for more tender perennials plants or to hide an ugly fence. 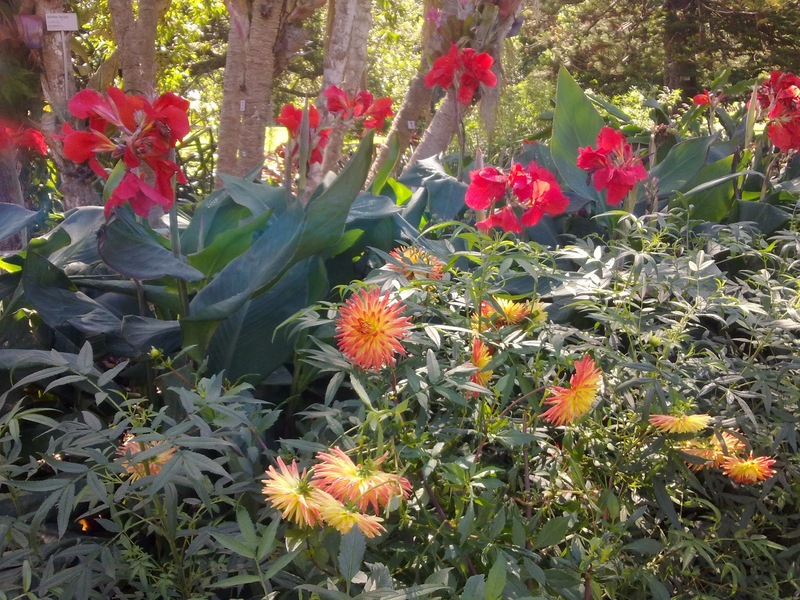 Whether you grow Cannas for the foliage or for the flowers, there’s something attractive about these plants that suits all types of gardens.Get active and plant out some Cannas into your garden bed today?